November is Nation Adoption Awareness Month!!! 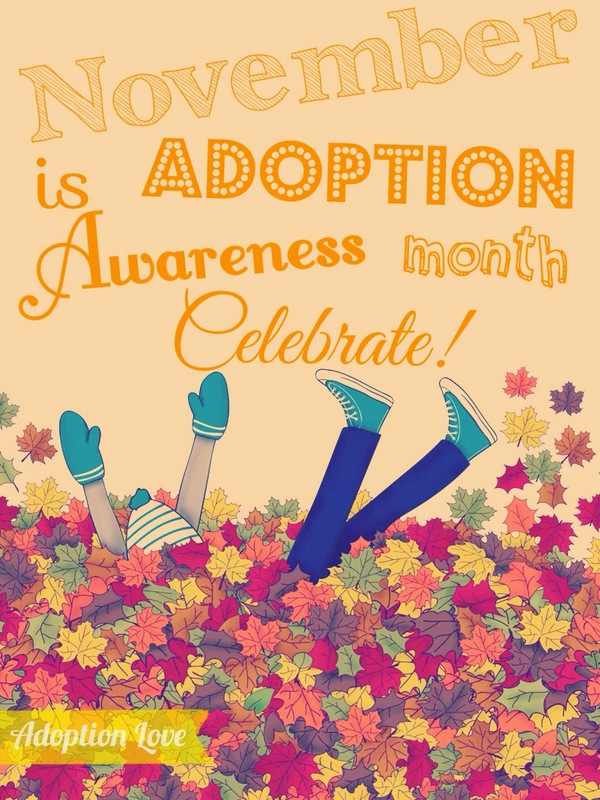 Every month is adoption awareness in our family, but in November we have permission to post and talk about adoption as much as we want, and you can't get sick of us! Haha! Help us celebrate this special month by sharing our blog, Facebook page, or adoption agencie's website (Adoption Answer). And, as always, keep us and our future birth mom in your prayers. Happy November everyone! I had no idea it was Adoption Awareness Month. I hope the best for your family!